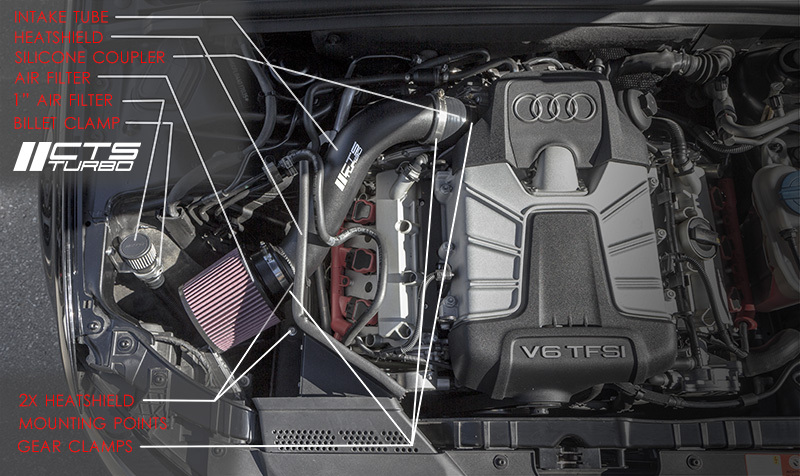 The Integrated Engineering 2.0T TFSI intake manifold was carefully designed to provide an effective power increase across the entire rpm range with no loss in low-end power or spool time, with the ability to be used on any turbo setup, including the stock turbo. 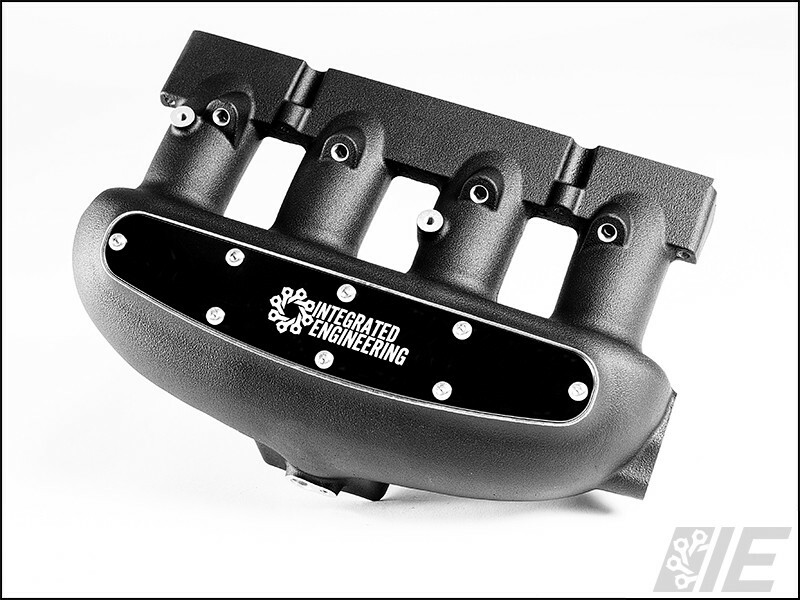 We have incorporated several motorsport features into this intake manifold, making it outperform the factory unit, as well as other aftermarket manifolds available. What kind of power gains will I see? By simply installing the IE intake manifold and matching software, power increases from a stage 2 K04 setup are 31 ft/lbs @ 3000rpm and 20whp at 4800rpm. Setups using larger turbochargers will see greater gains. What else will I need to install? Along with purchasing the IE intake manifold, you will need a vehicle-specific install kit. Install kits for MK5 2.0T FSI/MK6 Golf R, MK5/MK6 2.0T TSI, B7 A4 and B8 A4 (not Flex Fuel version) are now available for purchase separately. Will I need tuning for this manifold? Yes, tuning is required to install this product. With the IE intake manifold, you will no longer use the runner flaps, so the coding for that system will need to be removed. Are there any modifications needed to install? There are a few small modifications needed for installation. In order to make the power needed, the runners had to be much larger than the factory ones, which makes for slight interference with the fuel rail. The sheet metal mount bracket on the fuel rail must be slightly modified to clear the runners. You will also need to remove the engine lift hooks, as the larger runners interfere with them as well. On TSI cars, you must slightly bend a high pressure fuel hose, which can be done by hand. 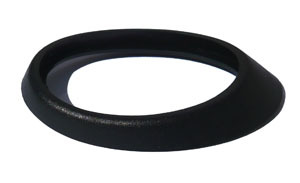 Also, a strap or plier-style oil filter wrench must be used to remove the oil filter on TSI cars, as the manifold is closer than stock. How does the IE intake manifold compare to others on the market? The IE intake manifold was designed from the ground-up, with quick spool and performance in mind. We have spent much time dialing in the runner length, diameter, plenum size, and plenum shape. These characteristics make the IE manifold the best performing part on the market, with gains throughout the entire rpm range. The IE manifold is also much more visually appealing with a black powdercoat finish and the option of red, black, or blue anodized velocity stack cover. Do I have to run water methanol with this manifold? Our manifold is machined with 1/8" NPT ports to accept water meth nozzles on each runner. However, for those not looking to utilize these, the manifolds will include threaded plugs to block those ports. I see that you only offer the manifold in a black powdercoat finish. Is there a benefit to the black finish? The black powdercoat finish is not only visually appealing, but it is much easier to keep clean. Raw cast aluminum parts easily collect dirt and stains that are difficult to remove. The powdercoat finish does not show dirt easily and can be easily cleaned. Can I run my aftermarket throttle pipe with the IE intake manifold? The IE intake manifold was designed around the factory throttle pipe using the IE silicone coupler (included in install kits). If your throttle pipe fits the same as the OEM unit, then there should be no issues using it.